While there is no single approach to integrating adaptation considerations into sector planning, concrete examples are emerging as more countries pursue National Adaptation Plan (NAP) processes. Participants in the NAP Global Network’s first Targeted Topics Forum in 2015 shared a range of approaches to addressing climate risks through sector planning. In particular, south-south sharing of experiences highlighted that in the early stages of NAP processes, the impetus for sector integration can be found in different ministries and at different levels depending on the country context. A spectrum of approaches to initiating sector integration of adaptation emerged, ranging from sector-driven to nationally driven approaches. 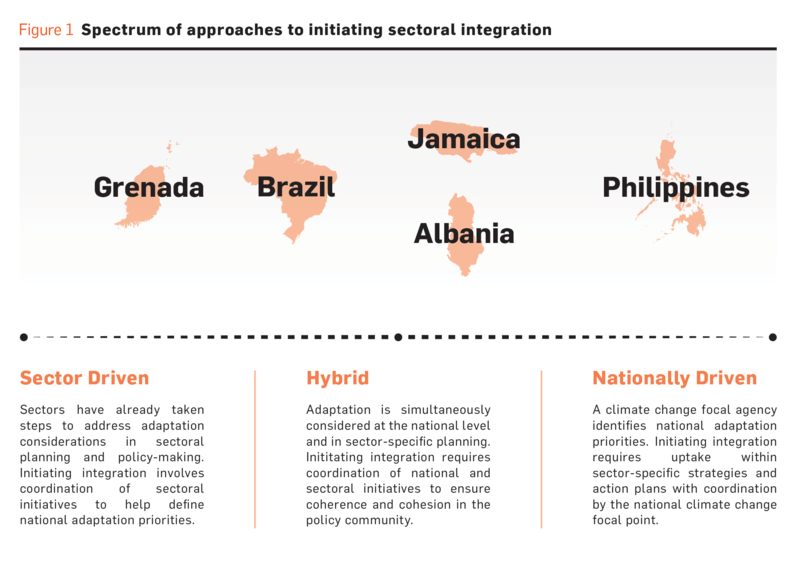 This Overview Brief introduces the topic of sector integration and different ways to initiate it in the NAP process. A number of separate forthcoming sNAPshot briefs provide further detail on approaches individual countries have taken to initiating the sector integration process. To learn more, you can watch a NAP Global Network webinar from March 2017 introducing sector integration of adaptation considerations in the NAP process, which also features guest presentations from Dr. Orville Grey (Ministry of Economic Growth and Job Creation, Jamaica) and John Furlow (USAID).